Kitsap and Jefferson counties, Washington, U.S.
A pontoon bridge, also known as a floating bridge, uses floats or shallow-draft boats to support a continuous deck for pedestrian and vehicle travel. The buoyancy of the supports limits the maximum load they can carry. The bridge is officially named after William A. Bugge (1900–1992), the director of the Department of Highways from 1949 to 1963, who was a leader in the planning and construction of the bridge. The bridge, however, has continued to be popularly known as the Hood Canal Bridge. William Adair Bugge was a civil engineer who played a major role in the development of the transportation infrastructure of the West Coast of the United States during the latter half of the 20th century. Hood Canal Bridge from Buena Vista Cemetery, Port Gamble, Washington. The pontoons for the bridge were fabricated in the Duwamish Waterway in Seattle; during fabrication, two of the pontoons sank. When they were attached for the first time, and then towed into place and anchored, sea conditions in the Hood Canal were too severe and the pontoons were returned to a nearby bay until a better method of attaching could be devised. The structural engineers and the contractor decided the design was faulty. A new contractor was hired and the design modified. It was decided to use a large rubber dam between each of the two pontoons as they were attached, clean the concrete surfaces of all marine growth, epoxy, and tension them with a number of cables welded to a variety of attachment points. This system seemed to work from when the bridge opened in 1961 until the disaster of 1979. The Duwamish River is the name of the lower 12 miles (19 km) of Washington state's Green River. Its industrialized estuary is known as the Duwamish Waterway. Epoxy is either any of the basic components or the cured end products of epoxy resins, as well as a colloquial name for the epoxide functional group. Epoxy resins, also known as polyepoxides, are a class of reactive prepolymers and polymers which contain epoxide groups. Epoxy resins may be reacted (cross-linked) either with themselves through catalytic homopolymerisation, or with a wide range of co-reactants including polyfunctional amines, acids, phenols, alcohols and thiols. These co-reactants are often referred to as hardeners or curatives, and the cross-linking reaction is commonly referred to as curing. Reaction of polyepoxides with themselves or with polyfunctional hardeners forms a thermosetting polymer, often with favorable mechanical properties and high thermal and chemical resistance. Epoxy has a wide range of applications, including metal coatings, use in electronics/electrical components/LEDs, high tension electrical insulators, paint brush manufacturing, fiber-reinforced plastic materials and structural adhesives. Epoxy is sometimes used as a glue. The Hood Canal Bridge suffered catastrophic failure in 1979 during the February 13 windstorm. During the night, the bridge had withstood sustained winds of up to 85 mph (137 km/h) and gusts estimated at 120 mph (190 km/h), and finally succumbed at about 7:30 a.m. on Tuesday, February 13. 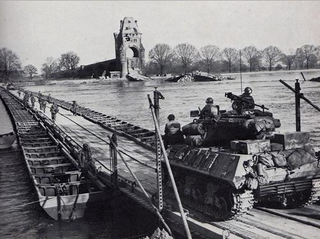 The western drawspan and the pontoons of the western half had broken loose and sunk, despite the drawspan being opened to relieve lateral pressure. A catastrophic failure is a sudden and total failure from which recovery is impossible. Catastrophic failures often lead to cascading systems failure. The term is most commonly used for structural failures, but has often been extended to many other disciplines in which total and irrecoverable loss occurs. Such failures are investigated using the methods of forensic engineering, which aims to isolate the cause or causes of failure. 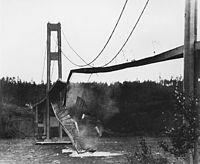 At the time of the failure, the bridge had been closed to highway traffic and the tower crew had evacuated; no casualties resulted. Evidence points to blown-open hatches allowing flooding of the pontoons as the cause of the sinking. The base of the west draw span, after replacement in 1979–82. To open for marine traffic, the section in the center of the photo raises and the section at right retracts under it. Efforts to repair the bridge began immediately and Washington Secretary of Transportation William A. Bulley secured a commitment of federal emergency relief money for the project. On June 15, 1979, actual work began with the removal of the west truss and transport for storage. The state's department of transportation attempted to mitigate the impact of the disaster by redirecting traffic to US Highway 101 to drive around the 50-mile (80 km) length of Hood Canal and by reestablishing the state ferry run between Lofall and South Point across the canal just south of the bridge. This route had been discontinued after the 1961 bridge opening and the state needed to reacquire access to and restore operational conditions on both landings. During the course of the closure an additional ferry route was temporarily added between Edmonds and Port Townsend. Hood Canal is a fjord forming the western lobe, and one of the four main basins, of Puget Sound in the state of Washington. It is one of the minor bodies of water that constitute the Salish Sea. Hood Canal is not a canal in the sense of being a man-made waterway—it is a natural waterway. Washington State Ferries (WSF) is a government agency that operates automobile and passenger ferry service in the U.S. state of Washington as part of the Washington State Department of Transportation. It runs ten routes serving 20 terminals located around Puget Sound and in the San Juan Islands, designated as part of the state highway system. The agency maintains the largest fleet of ferries in the United States at 23 vessels, carrying 24.2 million passengers in 2016. As of 2016, it was the largest ferry operator in the United States, and the fourth-largest ferry system in the world. The Hood Canal Bridge re-opened to vehicular traffic in 1982 on Sunday, October 24. The west portion replacement had been designed and constructed in less than three years using $100 million in federal emergency bridge replacement funds at a total cost of $143 million (equivalent to $371 million today).  . The bridge reopened as a toll bridge, but tolls were lifted in 1985 after a court ruled that the insurance settlement constituted repayment of the construction bonds, and since federal funds were used in reconstructing the bridge, the Washington State Department of Transportation could not charge tolls after the bonds were retired. The pontoons and anchors for the bridge could not be built at the bridge site due to space and facility limitations. WSDOT evaluated different sites at which to build during a site selection process. The Port Angeles graving dock was chosen for its accessibility to water and land as well as the work force. Before purchase, the National Historic Preservation Act required archaeologists to perform a review of the historical site. At that time, "there was no evidence of historic properties or cultural resources" (NEPA Re-evaluation Consultation, FHWA) and WSDOT was able to purchase the site and begin construction. It is believed that this discovery may be documentation of the first time that Natives and non-Natives began to interact on this shore[ citation needed ]. These historical findings will be investigated thoroughly by the Lower Elwha Klallam Tribe and archaeologists. On December 21, 2004, Governor Locke and Secretary MacDonald announced that WSDOT would stop pontoon and anchor construction at the Tse-whit-zen site in Port Angeles and begin searching for a more suitable place to build. Many sites were considered but the best option to be found by WSDOT was in Tacoma, Wash. at Concrete Technology. Construction began on the new east-half floating pontoons at Concrete Technology in April 2006. Fourteen pontoons will be built in four cycles at the site. Completed pontoons will be floated out of the graving dock in Tacoma and transported to Seattle for outfitting at Todd Shipyards. Outfitting includes adding all electrical and mechanical parts, connecting the pontoons into sections and building the roadway on top of the pontoons. Another three pontoons, built during the west-half bridge replacement in the early 1980s, will be retrofitted in Seattle. In planning for a prolonged closure of the bridge for the east-half replacement, the Washington State Department of Transportation conducted a five-day survey of bridge use in early June 1998 in order to assess closure impact and plan effective mitigation strategies. The survey was in three stages: A video camera count of traffic on weekdays (Tuesday and Wednesday) and a weekend (Friday through Sunday) to estimate average volume; the use of that video to record license plate numbers for vehicle registration addresses to assess which communities would be most affected; and the mailing of a questionnaire to the registered owners of those vehicles seeking information on trip origin, destination, and purpose, and choice of travel alternatives during a bridge closure. The video count produced a weekday average of 14,915 trips/day and a weekend average of 18,759 trips/day. Peak volumes reach 20,000 vehicles on summer weekends[ citation needed ]. The vehicle registration information indicated that a majority of trips were by residents of communities near the bridge. The most represented communities were, in numerical order, Port Ludlow (8%), Port Townsend (7%), Port Angeles (6%), Seattle (6%), Sequim (5%), Poulsbo (5%), Bremerton (4%), Port Hadlock (2%), and Silverdale (2%). The questionnaires revealed that a majority of trips were to and/or from communities near the bridge. On the weekend 48% of westbound trips originated on the north and central Kitsap Peninsula, with 88% of the destinations in areas near Port Ludlow, Port Townsend, Sequim, and Port Angeles. For weekday trips, nearly 55% of westbound trips originated in northern or central Kitsap County with 90% of the destinations in the Port Ludlow, Port Townsend, Sequim, and Port Angeles areas. A large number of eastbound weekday morning trips appeared to be for commuting purposes, with 92% of originating in Port Ludlow, Port Townsend, Sequim, or Port Angeles, and 60% with central or northern Kitsap County as a destination, and 32% ending in the Seattle metropolitan area. The evening westbound trips seemed to mirror the morning patterns. When asked the purpose of their trips, respondents reported that for weekend trips 21% were for recreational, 21% for social, 19% for personal, 18% for work, 6% for business, and 4% for medical reasons. For weekday trips 33% were for work, 17% for personal, 14% for business, 11% for medical, 9% for social, and 8% for recreational reasons. Burows, Alyssa. "Bulley, William A. (b. 1925)" in the HistoryLink.org Cyberpedia Library, Essay 7289. March 28, 2005 (retrieved July 24, 2006). Burows, Alyssa. "William Adair Bugge assumes duties as Director of Highways on July 1, 1949" in the HistoryLink.org Timeline Library, Essay 7256. March 5, 2005 (retrieved July 24, 2006). Hamilton, Charles. "Hood Canal Bridge opens on August 12, 1961" in the HistoryLink.org Timeline Library, Essay 7280. March 17, 2005 (retrieved July 24, 2006). Hood Canal Bridge East-Half Replacement Closure Mitigation Plan — Preferred Options. Washington State Department of Transportation and Bucher, Willis & Ratliff Corporation. February 2000. 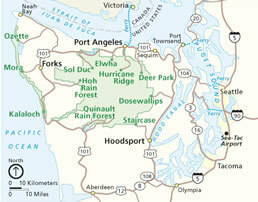 ↑ "Spanning Hood Canal". Spokesman-Review. (AP photo). November 1, 1959. p. 20. 1 2 "Bridge loss hits wide state area". Spokane Daily Chronicle. Associated Press. February 14, 1979. p. 2. ↑ "Hood Canal Bridge opens on August 12, 1961". HistoryLink.org. 2005-03-17. Retrieved 2013-11-26. ↑ "William A. Bugge Bridge: Replacement Plan for the East-Half Floating Portion" (PDF). Washington State Department of Transportation. p. 23. Archived from the original (PDF) on 27 April 2010. Retrieved 26 November 2013. ↑ Klass, Tim (February 13, 1979). "Span collapses at Hood Canal". Spokane Daily Chronicle. Associated Press. p. 1. ↑ "Winds collapse Hood Canal bridge". Spokesman-Review. Associated Press. February 14, 1979. p. 1. ↑ "Bridge really started galloping'". Spokesman-Review. Associated Press. February 3, 1979. p. 3. ↑ "Hood Canal Bridge sinks during a severe storm on Tuesday, February 13, 1979"
↑ Connolly, Patrick (October 25, 1982). "Hood Canal Bridge reopens awash in traffic". Spokane Chronicle. Associated Press. p. 3. ↑ "Ceremony opens Hood Canal Bridge". Lewiston Morning Tribune. Associated Press. October 25, 1982. p. 3B. ↑ "Project - SR 104 - Hood Canal Bridge Project". Washington State Department of Transportation (WSDOT). Archived from the original on 2009-05-01. Retrieved 2009-05-02. ↑ "SR 104 Hood Canal Bridge open again - eight days early". Washington State Department of Transportation (WSDOT). Retrieved 2009-07-08. Wikimedia Commons has media related to Hood Canal Bridge . Klallam refers to four related indigenous Native American/First Nations communities from the Pacific Northwest of North America. The Klallam culture is classified ethnographically and linguistically in the Coast Salish subgroup. Two Klallam bands live on the Olympic Peninsula and one on the Kitsap Peninsula in Washington state, and one is based at Becher Bay on southern Vancouver Island in British Columbia. The Evergreen Point Floating Bridge, officially the Governor Albert D. Rosellini Bridge, and commonly called the SR 520 Bridge or 520 Bridge, was a floating bridge in the U.S. state of Washington that carried State Route 520 across Lake Washington, connecting Medina with the Montlake/Union Bay district of Seattle. The Lacey V. Murrow Memorial Bridge is in the northwest United States, one of the Interstate 90 floating bridges that carries the eastbound lanes of Interstate 90 across Lake Washington from Seattle to Mercer Island, Washington. Westbound traffic is carried by the adjacent Homer M. Hadley Memorial Bridge (1989). The Kitsap Peninsula lies west of Seattle across Puget Sound, in Washington state in the northwestern US. Hood Canal separates the peninsula from the Olympic Peninsula on its west side. The peninsula, a.k.a. "the Kitsap", encompasses all of Kitsap County except Bainbridge and Blake Islands, as well as the northeastern part of Mason County and the northwestern part of Pierce County. The highest point on the Kitsap Peninsula is Gold Mountain. The U.S. Navy's Puget Sound Naval Shipyard, and Naval Base Kitsap are on the Peninsula. Its main city is Bremerton. State Route 104 (SR 104) is a 31.75-mile-long (51.10 km) state highway in the U.S. state of Washington, serving four counties: Jefferson on the Olympic Peninsula, Kitsap on the Kitsap Peninsula, and Snohomish and King in the Puget Sound region. It begins south of Discovery Bay at U.S. Route 101 (US 101) south of Discovery Bay and crosses the Hood Canal Bridge over Hood Canal to the terminus of SR 3 near Port Gamble. SR 104 continues southeast onto the Edmonds–Kingston Ferry to cross the Puget Sound and intersects SR 99 and Interstate 5 (I-5) before ending at SR 522 in Lake Forest Park. SR 104 also has a short spur route that connects the highway to SR 99 at an at-grade signal on the Snohomish–King county line. State Route 16 (SR 16) is a 27.16-mile-long (43.71 km) state highway in the U.S. state of Washington, connecting Pierce and Kitsap counties. The highway, signed as east–west, begins at an interchange with Interstate 5 (I-5) in Tacoma and travels through the city as a freeway towards the Tacoma Narrows. SR 16 crosses the narrows onto the Kitsap Peninsula on the partially tolled Tacoma Narrows Bridge and continues through Gig Harbor and Port Orchard before the freeway ends in Gorst. The designation ends at an intersection with SR 3 southwest of the beginning of its freeway through Bremerton and Poulsbo. SR 16 is designated as a Strategic Highway Network (STRAHNET) corridor within the National Highway System as the main thoroughfare connecting Tacoma to Naval Base Kitsap and a part of the Highways of Statewide Significance program. 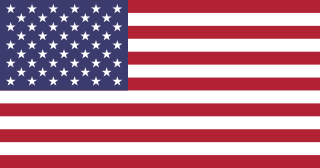 State Route 3 (SR 3) is a 59.81-mile-long (96.25 km) state highway in the U.S. state of Washington, serving the Kitsap Peninsula in Mason and Kitsap counties. The highway begins at U.S. Route 101 (US 101) south of Shelton and travels northeast onto the Kitsap Peninsula through Belfair to Gorst, where it intersects SR 16 and begins its freeway. SR 3 travels west of Bremerton, Silverdale and Poulsbo before it terminates at the eastern end of the Hood Canal Bridge, signed as SR 104. The highway is designated as a Strategic Highway Network (STRAHNET) corridor under the National Highway System as the main thoroughfare connecting both parts of Naval Base Kitsap and is also part of the Highways of Statewide Significance program. The Chimakum, also spelled Chemakum and Chimacum are a near extinct Native American people, who lived in the northeastern portion of the Olympic Peninsula in Washington State, between Hood Canal and Discovery Bay until their virtual extinction in 1902. Their primary settlements were on Port Townsend Bay, on the Quimper Peninsula, and Port Ludlow Bay to the south. Tse-whit-zen is a 1,700- to 2,700-year-old village of the Lower Elwha Klallam tribe located along the Port Angeles, Washington waterfront. It is located at the base of Ediz Hook on the Olympic Peninsula. During construction in August 2003 of a graving dock associated with replacement of the Hood Canal Bridge, the village's cemetery and other prehistoric remains were discovered. The construction project was abandoned at this site because of the importance of the find, as the village was intact. It is the largest pre-European contact village site excavated in Washington State. State Route 19 (SR 19) is a 14.09-mile-long (22.68 km) state highway serving rural Jefferson County on the Olympic Peninsula in the U.S. state of Washington. The highway travels from SR 104 south of Port Ludlow and travels north through Chimacum and Port Hadlock-Irondale, intersecting SR 116, to end at SR 20 southwest of Port Townsend near the Jefferson County International Airport. SR 19 was established in 1991 on a roadway that had been built in the 1950s and paved in the 1960s. Clallam Transit is the public transportation provider for Clallam County, Washington. It provides 12 fixed-route buses, and coordinates with nearby transit organizations to provide 2 intercounty commuter bus lines. It also provides paratransit for disabled riders. The M/V Kitsap was a ferry built in 1925 at the Lake Washington Shipyard in Houghton, Washington. She was 165 feet (50 m) long, and her original capacity in 1925 was 95 cars and approximately 800 passengers. By 1960, cars had become much bigger and her capacity was reduced to 32 modern automobiles and 325 passengers. A 600-horsepower Estep diesel engine allowed her to sail at 12 knots when originally built. Almost every part of her was from Washington state; her hull and superstructure were built from Washington-grown fir, and her Estep engine was built in at Washington Iron Works in Tacoma. State Route 116 (SR 116) is a 9.83-mile-long (15.82 km) state highway in the U.S. state of Washington, serving Indian and Marrowstone islands in Jefferson County. The two-lane highway travels east from SR 19 in Port Hadlock-Irondale across the Portage Canal to Indian Island and Marrowstone Island, turning north and ending at the entrance to Fort Flagler State Park. SR 116 was created in 1991 and follows the route of Flagler Road, built and paved in the 1960s. Adeline Smith was an American elder, lexicographer, activist, and cultural preservationist. She was a member of one of four indigenous Klallam communities of the Pacific Northwest. The Evergreen Point Floating Bridge, also known as the 520 Bridge and officially the Governor Albert D. Rosellini Bridge, carries Washington State Route 520 across Lake Washington from Seattle to its eastern suburbs. The 7,710-foot-long (2,350 m) floating span is the longest floating bridge in the world, as well as the world's widest measuring 116 feet (35 m) at its midpoint.